Reconnect with your fellow IRMA Members and Sponsors for the Opening Reception of IRMACon17. Penny Caldwell kicks off the evening with the President’s welcome. John Thomson, Director, National Celebrations, Parks Canada (and a longtime Honorary IRMA member) welcomes us to Banff National Park and Canada 150; Käthe Lemon, Editor of Avenue Calgary Magazine, shares things you likely didn’t know you could do in Banff. The 2017 IRMA Opening Reception is bullfrogpowered with 100% green electricity. This means that Bullfrog Power’s generators put 100% green power onto the grid to match the amount of conventional electricity the event uses, displacing energy from polluting sources. Across Canada, Bullfrog’s green electricity comes from a blend of wind and low-impact hydro power sourced from new Canadian renewable energy facilities. Dianne Davis of Tulnet will lead us in a NEW casual and fun meet and greet. Meet new members and learn what’s happening with your colleagues and in the regional magazine biz. And most of all, make note of who would you like to follow up with during the conference and beyond. 25-year media sales expert Ryan Dohrn has gathered the very best media sales tips from around the globe and is ready to share them with you! But, can you keep up? This is 60 minutes of fun where Ryan shares 60 sales ideas from his global adventures working with over 400 media companies and over 5,000 media sales reps. Every idea is working today in media companies large and small. All ideas are proven and proving revenue results! This is a rapid fire format where a live countdown clock on the screen will keep Ryan on track and keep you wondering how he has this much information packed into 60 minutes. Come prepared to take notes, laugh and maybe even cry. General Session – 20 Revenue Ideas to Put into Action Today! Looking to grow revenue right away? 25-year media revenue expert, Ryan Dohrn, shares 20 proven revenue ideas that are working for B2B and consumer magazines in seven countries. Detailed examples, with equally detailed explanations, will be presented in a fast and fun session with a HUGE focus on revenue. From email ideas, to digital ideas, to print add-on ideas, they are all there. Ryan has taught his strategies for sales success to over 5,000 media sales professionals. His sales tools have brought in over $350 million in ad sales for his media clients large and small. Come prepared to take these ideas and get rolling right away with your own publication! Some magazines just look great. What are they doing that you’re not? Paul Roelofs, Art Director for the Vancouver magazine and Western Living media brands, shares the secrets of great design that you need to incorporate into your own magazine’s editorial, sales and circulation collateral materials. What are the current challenges in the publishing business and how should our businesses respond for future success? A panel discussion sets the stage for deeper dialogue over the course of the conference. An annual favourite; bring your successes and challenges, share tips and solutions with other editors. 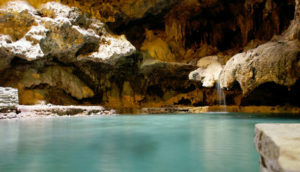 Parks Canada is sponsoring our Saturday evening Reception at the internationally renowned Cave & Basin National Historic Site, whose thermal waters have been significant to Indigenous peoples for millennia. Your host is John L. Thomson, Director, National Celebrations, Parks Canada and a longtime IRMA Honorary Member. Join your fellow IRMA members for an evening at this historic site. Parks Canada is providing the shuttle to and from this pre-dinner event (cash bar). 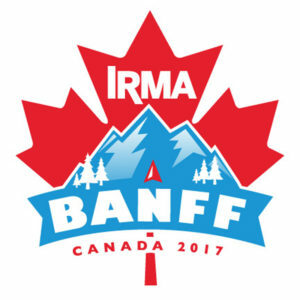 Afterwards, feel free to stay in downtown Banff for a night of IRMA Unplugged dinners, or ride the shuttle back to the Rimrock. Breakthrough growth comes from innovative strategy. Whether you’re on the creative or business side of publishing, Bill Atchinson of Growth Ventures, a strategic consulting practice, will take you through the steps you need to take to go beyond conventional planning and maximize opportunities for your magazine. Open Space Technology, also known as the “Un-meeting,” is a collective exercise used to tap into leadership and creativity. Open Space in this case is a way to convene IRMA members in a refreshing new way. It enables groups of any size to address the complex, important issues that drive our business today and achieve meaningful results quickly. Led by Dianne Davis of Tulnet. Learn a new, groundbreaking way to create more successful meetings through the use of Open Space. Learn the how-to’s of Open Space enabling you to implement in your own organization. Be able to instruct others in the how-to’s of leading Open Space. Not to be missed, Lake Louise is a jewel of the Canadian Rockies. The place itself is a hamlet in Banff National Park that is renowned for its turquoise, glacier-fed lake of the same name, also called Lake of the Little Fishes by the Stoney Nakota First Nations people. It is ringed by high peaks and overlooked by the stately Fairmont Chateau Lake Louise, a year-round luxury mountain resort. Hiking trails wind up to the Lake Agnes Tea House for bird’s-eye views. The famous emerald colour of Lake Louise comes from rock flour carried into the lake by melt-water from glaciers. What better place to connect with your IRMA colleagues. Sign up for the shuttle buses and book your Lake Louise Excursion Activities here. Dana DiTomaso, President & Partner, Kickpoint, discusses evolution to multi-media – how print and digital can play nicely together, or what we can learn from the kids these days. New ways to find and keep subscribers. Richard Roper, Publisher of Mississippi magazine and Al Zikovitz, CEO of Cottage Life share their experiences evaluating their publishing businesses. BREAK until Group Photo at 5.45 p.m.
Departure day, see you next year!